What’s Better Than Being Thankful? You hear a lot these days about the benefits of simply taking the time to express gratitude for all the blessings you have in your life. It’s actually quite a big deal. 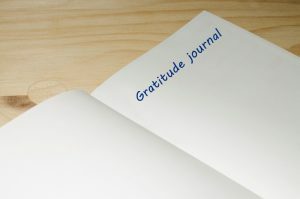 The practice of expressing gratitude just puts you in a good state … mentally, emotionally, physically, and spiritually. It positively affects your health …and pretty profoundly at that. At Thanksgiving time, we call these expressions of gratitude “being thankful.” Same thing. Are you truly thankful? Do you express how grateful you are on a regular basis? Do you actually take time to catalogue and give thanks for all the stuff you love about your life? I’ll bet you do, and that’s good, because when you’re grateful for what you have, you’re concentrating on the positive and … as the law of attraction says … you get more of what you focus on. Be grateful and you create more of what you’re grateful for. It’s the perfect example of a virtuous cycle. But there’s something more powerful even than gratitude / being thankful when it comes to attracting the things you want to you. Wait a minute. Isn’t showing appreciation the same thing as gratitude and being thankful? Not exactly, and there’s power in understanding the difference and allowing that understanding to work for you. Appreciation goes beyond a simple acknowledgement to note in greater detail exactly what it is about that something or that someone that you treasure. You may be grateful for the food on your table, for example. But what is it about that food that you appreciate? That a lot of people went to a lot of effort to bring it to you? That it not only gives you energy and helps your body function and rebuild itself, but it looks great, and smells great, and tastes great … and there’ll be plenty around for leftovers. And you WILL NOT go hungry for at least several days. Can you tell I’m talking about golden brown turkey and pie straight out of the oven? Well, I am. You may be grateful for your parents, but what’s there for you at a deeper, more specific level? An appreciation that they told you you could be anything you wanted to be and supported you in everything you did … that they drove you to wherever and whatever and never complained … that they loved you unconditionally, even when you were bad … that they always put your interests before theirs? See what I’m talking about? Spring … the flowers, the birds, the longer days, the warmth, the rebirth, the colors. Being grateful is great. Expressing appreciation is just that much more wonderful … and powerful. So … concentrate on exactly what you appreciate and let the world know it. More importantly, let the people who are important to you know it.